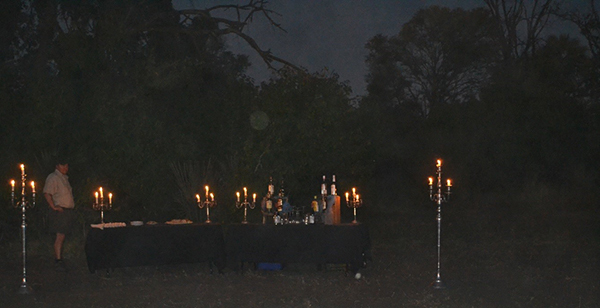 It was our last night of an amazing Botswana safari rich with wildlife. We were on our final game drive, headed to a small dirt airfield where a pack of African wild dogs were rumored to be hunting. We located them and were following the wild dogs when the most amazing thing happened. Out of the bush emerged a journey of giraffes—one by one. They were just slowly pouring out of the bush. 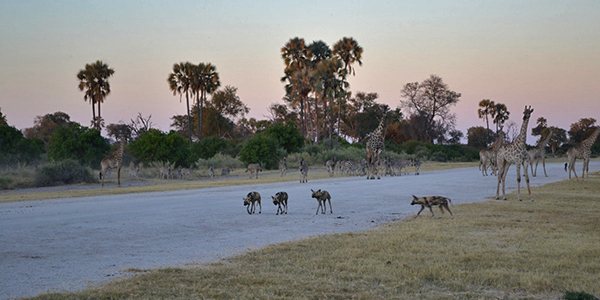 Wild dogs and giraffes, together on a small airstrip at the same time—unbelievable! As the sun began to set and the sky turned pink, an elephant quietly wandered by, creating a giant silhouette against the colorful African sky. 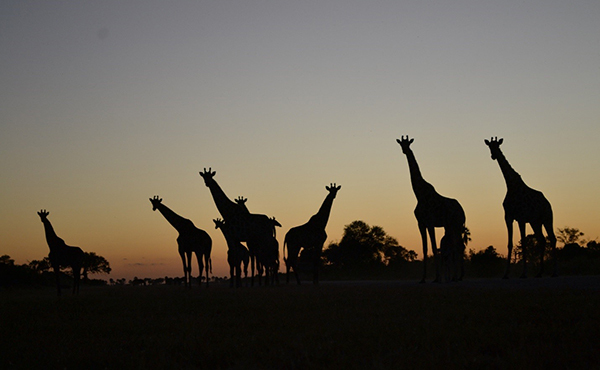 The giraffes continued to entertain as the night grew dark. We drove away knowing this would never happen again and that we had experienced a very magical moment. We felt like all of Africa had come to bid us farewell. 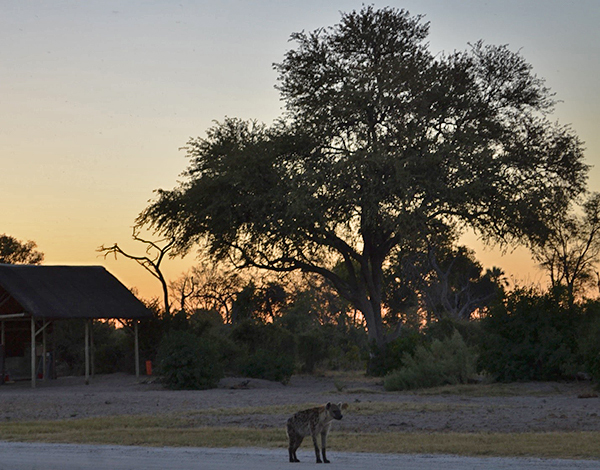 We thought that this day could not get any better, but…as we rounded a corner, there was the Botswana safari camp staff waiting for us with sundowners! This guest post was written by Natural Habitat Adventures Sky Ambassador Valerie Wimberley. All photos © Valerie Wimberley.